Westminster Furniture offers a variety of extremely durable and luxurious teak dining chairs including Armchairs, Stacking Chairs and Folding Chairs. All models are suitable for indoor, outdoor, residential, commercial and marine use. View ALL Chair Categories. 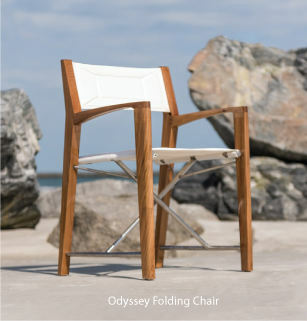 In addition to all teak dining chairs we also offer stainless steel chairs combined with teak wood (the Vogue Collection) as well as state of the art all weather, UV and tear resistant Textilene, a durable PVC coated fabric that is both mildew resistant and flame retardant. Quality Rated "Best Overall" by the Wall Street Journal.